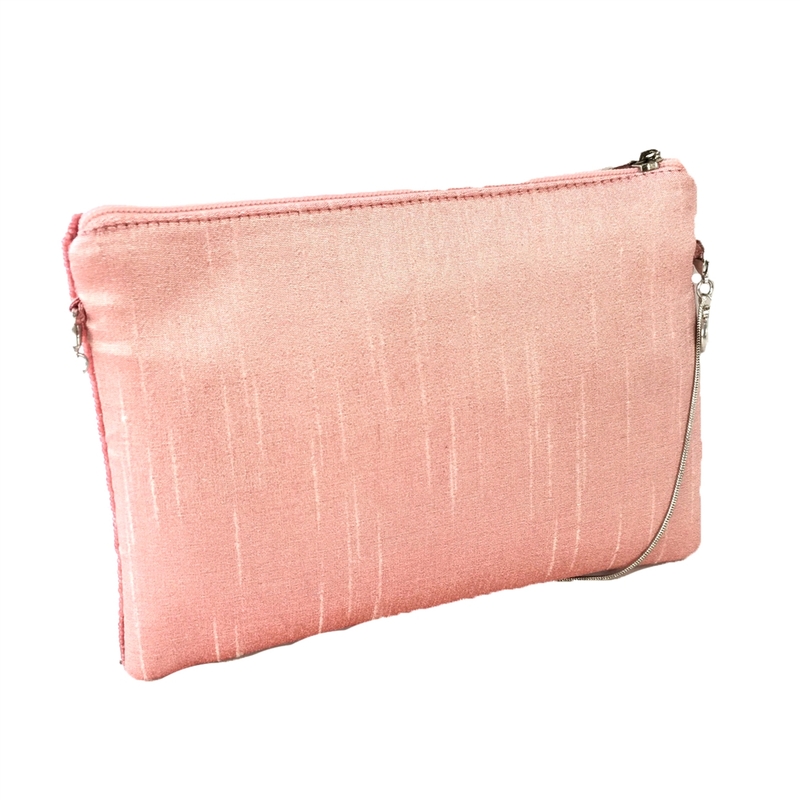 Perk up your summer wardrobe with the Peachy Clutch by From St Xavier. 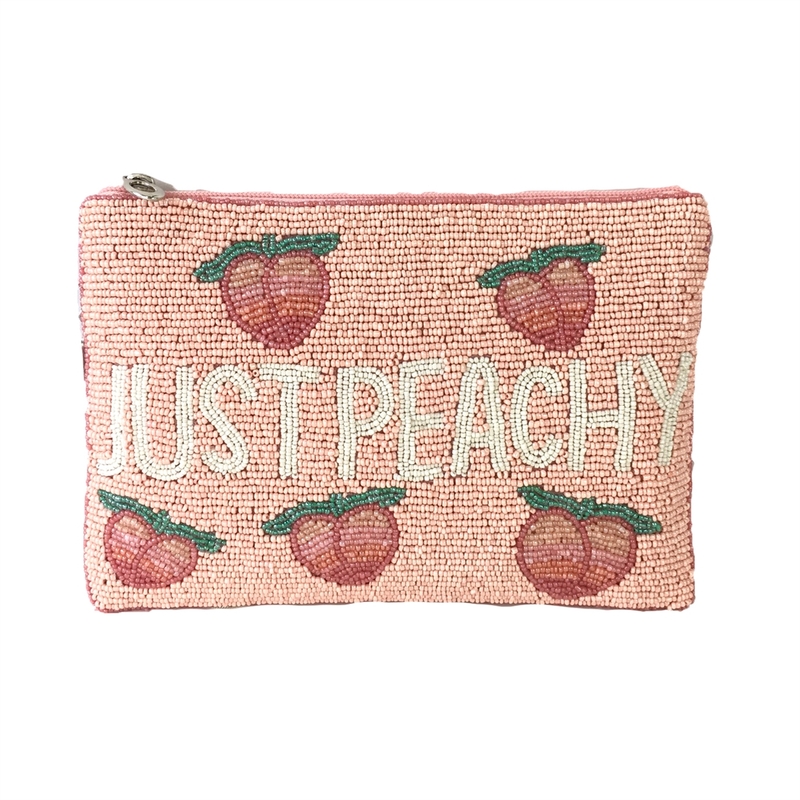 The adorable peach motifs really pop while the punchy Just Peachy slogan gives this style some cheeky personality. 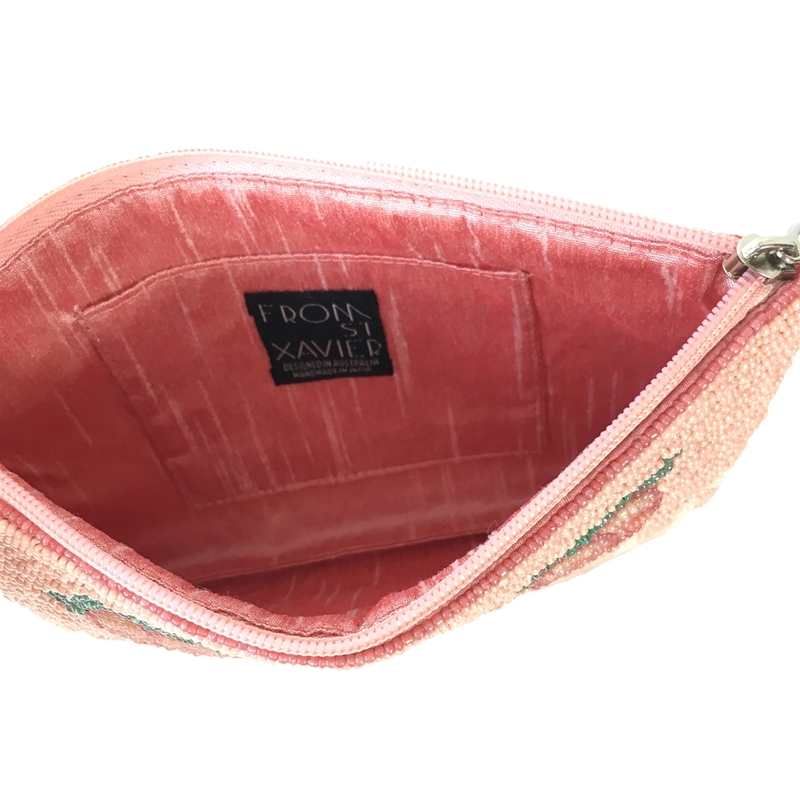 Convertible clutch in fabric with glass beads detailing. Front features playful "Just Peachy" message and peach graphics.